A contemporary one-bedroom apartment set on the second floor of Alaska Building at the award-winning ‘One SE8’ property development in Zone two, offering a respectable 4.99% yield making it an Ideal buy-to-let purchase for an entry-level investor. 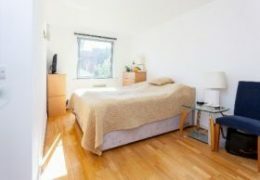 For a first-time buyer, it would also make a convenient base to put down roots in the Capital. 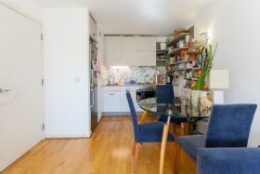 One SE8 offers a selection of competitively priced flats for sale in London and is conveniently situated just moments away from Deptford Bridge DLR taking you into Canary wharf or London Bridge in 15 minutes. 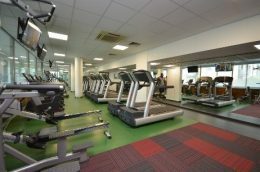 Residents benefit from excellent on-site facilities including a 50-metre swimming pool, 24 hour concierge and the ultra-modern gymnasium. With its favourable Zone 2 location, Deptford is surprisingly cheaper than other areas along the Southbank of London making it in demand from City business professionals and students who are seeing these new property developments as a general reflection of local prosperity and an asset to the neighbourhood as a whole.